The ceramics teacher announced on opening day that he was dividing the class into two groups. All those on the left side of the sudio, he said, would be graded solely on thequantity of work they produced, all those on the right solely on its quality. His prodecure was simple: on the final day of class he would bring in his bathroom scales and weigh the work of the "quantity" group: fifty pounds of pots rated an "A", forty pounds a "B", and so on. 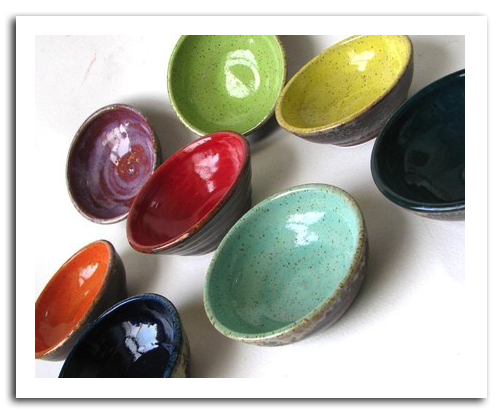 Those being graded on "quality", however, needed to produce only one pot - albeit a perfect one - to get an "A". Well, came grading time and a curious fact emerged: the works of the highest quality were all produced by the group being graded for quantity. It seems that while the "quantity" group was busily churning out piles of work - and learning from their mistakes - the "quality" group had sat theorizing about perfection, and in the end had little more to show for their efforts than grandiose theories and a pile of dead clay. To me, the thought of making a "perfect' work of art is awful. What can you do after creating perfection? There is nothing left to do! No, Its much better to just create, and see what happens. I have no illusions that I'm creating perfection. I don't desire perfection, I just want to make some art!